“I know the price of success: dedication, hard work, and an unremitting devotion to the things you want to see happen” said Frank Llyod Wright. This Friday the Arcbox lectures series had the privilege of hosting one of the best lecture up to now: “TOUCHING THE GROUNG” based on the doctorate thesis of Toma Berlanda, one of our senior lecturers. 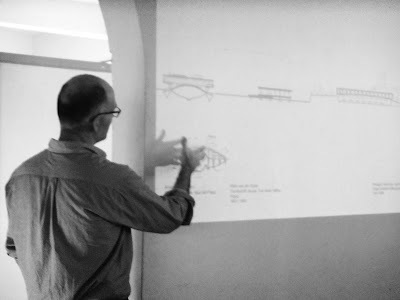 Tomà is a senior lecturer of the department of architecture at FAED, KIST and he is known for his comments emphasizing the importance on how the buildings touch the ground. In his lecture, he started by introducing to the audience his thesis project, how he started and methods he used to get to the final product. He created a lexicon (collection of words) to help him to understand and give order to architects intentions. He took the audience through his thesis starting by the idea that architects are the ones that modify the ground the importance of how they consider the ground in their designs. He called this “Encounter the ground”. He proceeded by showing what happened once the building touches the ground. Once the building meets the ground there is a discovery of the territory. The architect has to find the correct placement and start to consider the “growth” of the building, horizontal and the vertical, if he or she wants the building to have the vertical part at the upper part or at the intersection with the ground. He gave importance to the fact that the architect is the one who decide to which extent the building touches or modifying the ground and not just the engineer. This was supported by examples of architects who considered the ground in their designs like Sverre Fehn, Le Corbusier, Dimitri Pikionis….. He ended up by explaining the tectonics which is how the building parts come together and how these ones meets with the ground. 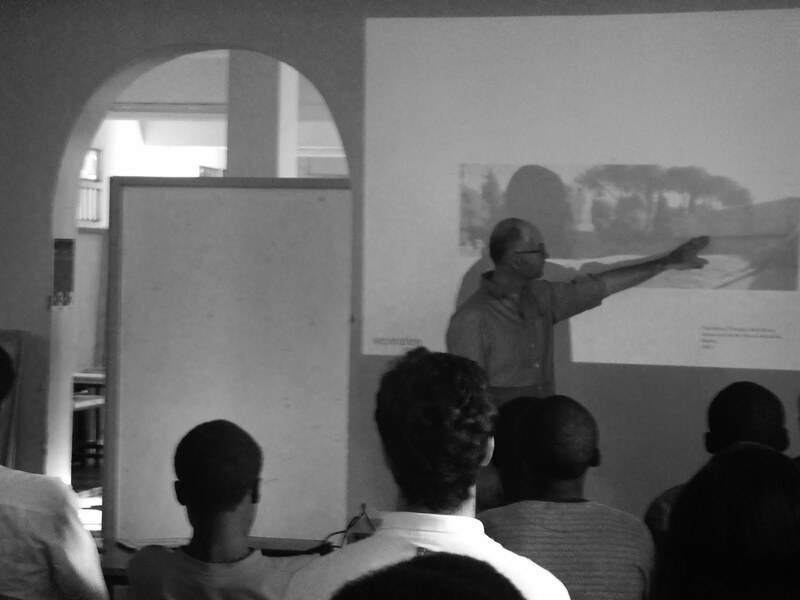 The presentation was followed by a series of questions by guests and students: Eudes Kayumba Arch.-who is one of the successful Rwandese architects-, arch. Luca Ginouliach -who works in UNICEF- and many students. The Arcbox culture committee,representing the students, are thankful for this opportunity that were given to all students to experience a real presentation of a thesis project. We thank arch.Tomà Berlanda for his time and we encourage all students to be more participative in our lecture series.